This training about powerful persuasion techniques is suitable for speakers of all abilities. Strategic empathy lets you convince your audience with the right mix of emotion and reason. Give goosebump-causing speeches, engage your listeners with emotion and inspire your audience. 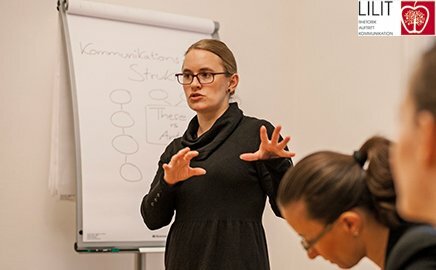 The Lilit training “The Art of Persuasion & Manipulation” offers you exactly the right tools for doing so: Make use of storytelling techniques, metaphors, and create suspense in your speeches & conversation. Lilit enables you to spot manipulation strategies and gives you the knowledge to use persuasion to your own advantage. Learn how to read & use body language, where to place your negotiation partner and how to apply status communication strategically. Your rewards are on the table: convincing election speeches, more success in sales and the right words to convince your employees. Appeal with Lilit to your person opposite’s soft side and get others to follow you – through the art of persuasion & manipulation. Take this opportunity and contact us today!